This vintage is elaborated from Chardonnay wines exclusively, and from vineyards that are only classified Grand Cru from the Côte des Blancs. 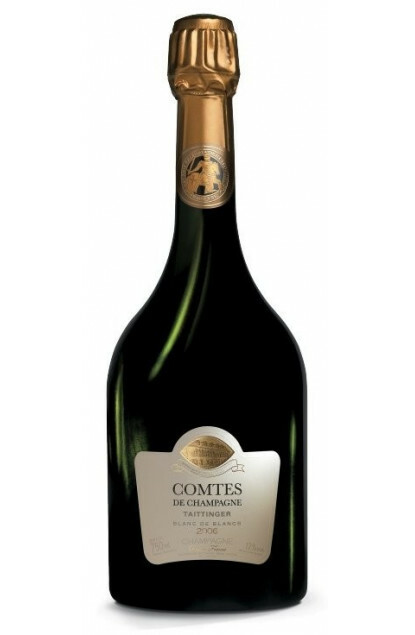 This Champagne was solely elaborated during the best years, and when harvest was truly exceptional. Only must (grape juice) from the first press are selected. 5% of the wines age for 4 months in new oak barrels (renewed by third every year). The wine is then bottled and brought in cellars in the Saint-Nicaise chalk quarries (13th century) located below the Reims hills, 18 metres deep, where it ages for 8 to 10 years. The colour is a very pale yellow. To the nose : the first attack is fruity and fresh, fine, like tangerine. Then are disclosed fragrances of ripe fruit, grilled brioche, dried raisins, and candied white fruits like vine peach. The taste is smooth but bright with a balance between a full-bodied taste and touches of citrus like Florida pink grapefruit. The lingering finish is very fine with a spicy note going on liquorice and vanilla. Works in perfect harmony with seafood, fine shellfishes or grilled/in sauce sea fishes.